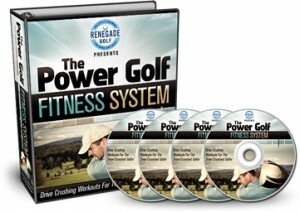 It develops power and distance; and what golfer doesn’t want more of that? It’s fun and is a good stress-reliever. After all, you get to smash something, and not get in trouble. 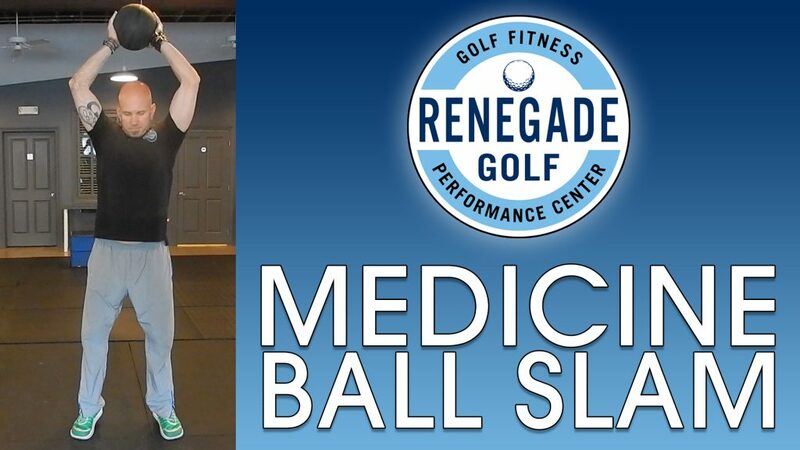 Although in essence it’s a straight-forward exercise, there are a few details you should know about the Golfer Medicine Ball Slam exercise. First, you need to choose the right type of medicine ball. There are many kinds on the market, and some will give you a better workout, while others might just give you a bloody nose. And second, because it’s a power exercise, it needs to fit into your training routine at the right time and with the proper set and rep scheme. And as I mention in the video, the Golfer Medicine Ball Slam is a perfect pairing with Pull Ups, for what is called Contrast Training. 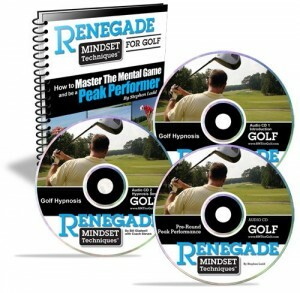 Contrast Training is a great segway from a Strength Phase to a Power Phase. In the example of Pull Ups/Slams, you are first performing the Pull Ups in a Strength rep range and tempo i.e. 8-12 reps at a moderate speed. Then you immediately follow that up with the Golfer Medicine Ball Slam with a Power protocol i.e. 6 reps FAST. Let’s build up some slamming power… and Get After Old Man Par. You demonstrate in this short video two(Three ) excellent exercises for strength and power . Does swinging the “TORNADO BALL ” (A Médicine Ball with a rope attached to it )lead to the same result . I also use a “SWING CHAIN ” to develop strength and rotational speed ,short bursts of speed remaining within 10 seconds to stay in anaerobic mode . I’ve only had one golfer who I know uses the Swing Chain. If it is the one that I’m thinking of, I have two possible concerns: 1) How fast can it be moved? The one my client showed me was quite long and heavy, and he really couldn’t move it FAST. 2) I’m generally not a fan of loading the actual mechanics of the swing i.e. actual wrist/hand positions and movement (the fine motor skills). The client was making his exact swing motion with the load of the chain slowing him down. 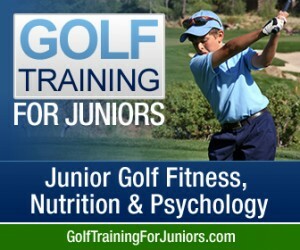 I prefer to load the same muscles utilized in the golf swing to build strength, but not risk interfering with any of the fine motor skills by adding resistance to them. Of course, this is only my opinion, and there will be plenty of trainers who feel otherwise.